Nitric oxide is a fascinating and versatile molecule, important for all living things as well as our environment. It is highly reactive and toxic; it is used as a signaling molecule; it depletes the ozone layer in our planet's atmosphere; and it is the precursor of the greenhouse gas nitrous oxide (N2O). Nitrogen oxides are also pollutants discharged with exhaust gases, for example from combustion engines in cars, and are harmful to human health. One major question about nitric oxide remained unanswered up to now: Can organisms use it to grow? One would think so," Kartal explains, "as nitric oxide has been around since the emergence of life on earth." 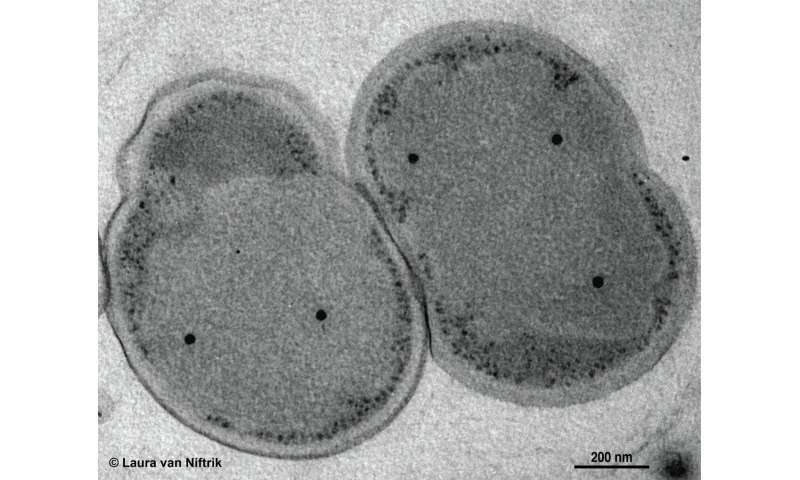 However, no microbe growing on NO has been found—until now. Kartal and his colleagues from Radboud University in the Netherlands have now discovered that the anaerobic ammonium-oxidizing (anammox) bacteria directly use NO to grow. In detail, these microorganisms couple ammonium oxidation to NO reduction, producing nothing but dinitrogen gas (N2) in the process. The latter—the sole production of N2—is particularly intriguing: Some microbes convert NO to nitrous oxide (N2O), which is a potent greenhouse gas. N2, in contrast, is harmless. Thus, each molecule of NO that is transformed into N2 instead of N2O is one less molecule contributing to climate change. "In this way, anammox bacteria reduce the amount of NO available for N2O production, and reduce the amount of released greenhouse gas", Kartal explains. 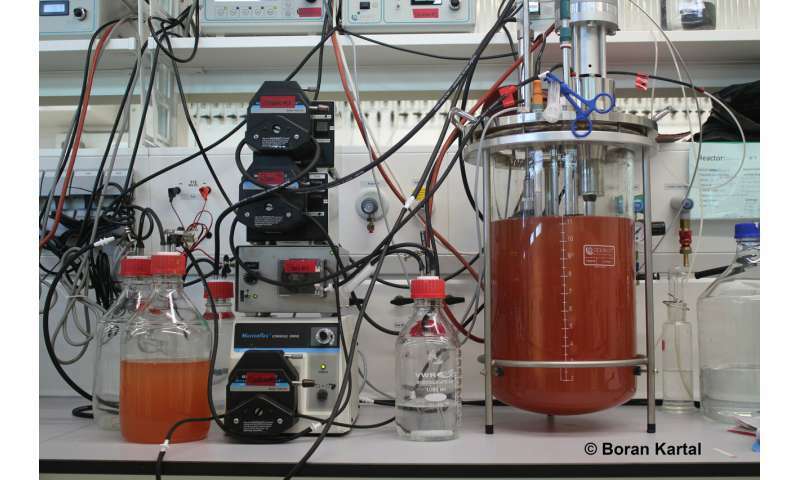 "Our work is interesting in understanding how anammox bacteria can regulate N2O and NO emissions from natural and man-made ecosystems, such as wastewater treatment plants, where these microorganisms contribute significantly to N2-release to the atmosphere." Nitric oxide is a central molecule in the global cycling of nitrogen. "These findings change our understanding of the earth's nitrogen cycle. Nitric oxide has been primarily thought of as a toxin, but now we show that anammox bacteria can make a living from converting NO to N2", says Kartal. The present study raises new questions. "Anammox, a globally important microbial process of the nitrogen cycle relevant for the earth's climate, does not work the way we assumed it did." Moreover, other microbes than the ones investigated here could be using NO directly as well. Anammox bacteria are found all over the planet. "In this sense, the anammox microbes growing on nitric oxide could also be basically everywhere", Kartal continues.